Zac Efronis full of surprises at the Sundance Film Festival. Aside from debuting platinum blonde hair over the weekend, the actor reveals the most exciting part about playing Ted Bundy in the movie Extremely Wicked, Shockingly Evil and Vile. "The most exciting thing for me was being able to sort of lend that Ted Bundy charisma to the part. I hope that's what comes across the most," the 31-year-old star tells E! News at the Sundance Film Festival. Moreover, he adds that Bundy was "the first mass manipulator of the world." 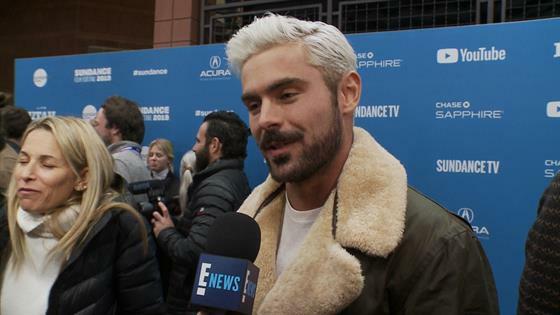 Considering the infamous serial killer is hailed as a charming, smart and good-looking guy, Efron says "it's kinda crazy" how many people "didn't believe" the crimes he committed even after he was found guilty. "People that watched the trial, that were with him in prison, on his defense team, anybody who knew him growing up, they never had bad things to say about the guy. Not a single person," the actor tells E! "And all the way to the very end of his trial when he was finally found guilty, a lot of people still didn't believe it...it's kinda crazy. "Luckily, I didn't have to get into his mind," Efron says about the infamous serial killer. "I got to observe and figure out what he would be up to or what he would be thinking...he's so off the map." 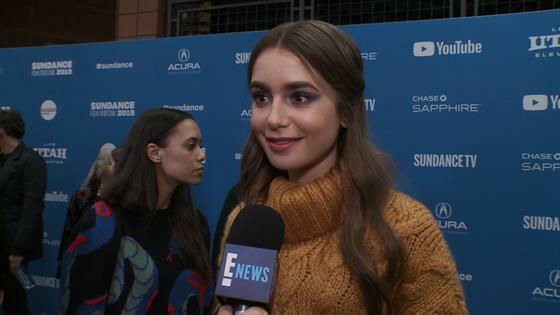 The Extremely Wicked, Shockingly Evil and Vile actor also spoke highly of his co-star Lily Collins. He admits that she made him "step up my game," after he saw her performance on set. Keep in mind, the actor says they were barely on their fourth or fifth day of filming. "I remember a few days into filming, I just came to work to watch on set because [Lily] was having scenes with Haley Joel Osment, and I was watching her performance and I was blown away," Efron says. "She was bringing it, and this was, like, the fourth of fifth day of filming. I was like, I really need to step up my game. Lily is killing it." The 29-year-old actress also spoke to E! News at the Sundance Film Festival, saying she and Efron have been friends for a long time. "I used to do reporting for Nickelodeon, so I literally interviewed him at an orange carpet event years ago. We've been friends ever since, so we finally got to work together." Collins plays Elizabeth Kloepfer, Bundy's long–time girlfriend, in the Extremely Wicked, Shockingly Evil and Vile movie. It's told through her perspective, and how she refused to believe the truth about him for years. The actress hopes that audiences "experience what it's like to be wooed by someone that is charming and undeniably charismatic, but that is a psychopath." Extremely Wicked, Shockingly Evil and Vile had its world premiere at the Sundance Film Festival.